New Delhi: Candidates aspiring for employment in the government may soon have to take fewer examinations to land a job. The Union Public Service Commission (UPSC) is working on a plan to cut the number of preliminary exams for Group-A government services, with a task force drawing up the contours of the exercise with an aim to set the ball rolling by 2020, highly-placed sources in the UPSC told ThePrint. According to the sources, the possibilities on the table include expanding the civil services preliminary test — which decides recruitment to around 24 services, including the prized Indian Administrative Service (IAS), Indian Police Service (IPS) and the Indian Foreign Service (IFS) — to services like engineering and Central Armed Police Forces such as the BSF and the CRPF. The proposal, the sources said, is meant to check UPSC expenses, spare candidates the trouble of preparing for multiple exams, give them more options, and prepare a central talent pool to staff various departments. Recruitment to all Group-A posts in the central government and its departments and institutions is done by the UPSC. Group-A is the first of four government-job categories, the others being groups B, C and D. According to the Department of Personnel & Training, each of the categories “broadly corresponds to the rank, status and the degree of the level of responsibility attached to the posts”, with Group-A officers at the top of the hierarchy. Lakhs of candidates take multiple exams every year for recruitment to Group-A government jobs, which constitute a childhood ambition for multitudes. The preliminary exam acts as the first layer of screening for candidates, who are then shortlisted for the “mains” test and interview round before the final selection. At present, there is a common civil services preliminary exam for about 24 All-India/central Group-A services, including IAS, IPS, and IFS. Apart from this, the UPSC also conducts screening tests/exams for other specialised Group-A services, such as the Indian Engineering Services, Indian Statistical Service, Indian Economic Service, Central Armed Police Forces, and geologists. The Indian Forest Service had a separate preliminary exam as well, but it was merged with the civil services test in 2016. However, the mains exam and interview for the forest service remain separate. Welcoming the move, a senior government official said reducing the number of basic screening examinations would help create a vast common pool of qualified candidates who can then appear for the mains examination for any Group-A service without having to go through multiple tests. “As of now, some of the prelim exams take place on the same date, which will be avoided [if the new proposal is adopted],” said the official. 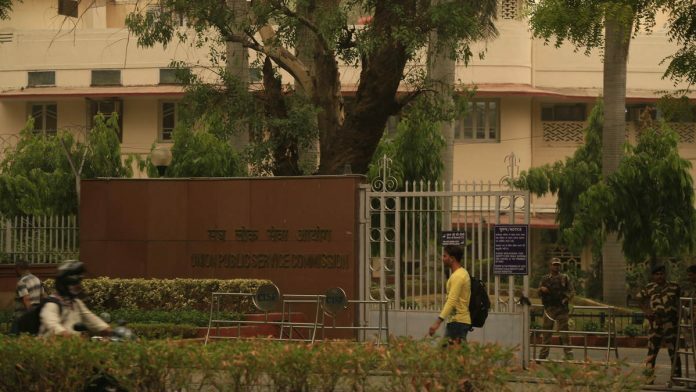 “The move will help not only the UPSC, but also lakhs of candidates by giving them a number of services to choose from after appearing for minimal screening tests,” the official added. Another senior civil servant working with the central government asked why a candidate ought to take different screening exams for similar Group-A services. “It is a waste of the candidates’ time and effort,” the civil servant said. According to multiple central government officials, if the proposal proves successful, recruitment to central public sector undertakings, the RBI and public sector banks, insurance companies as well as financial institutions may also be drawn into the fold of the proposed common examination. Meanwhile, sources in the Department of Personnel and Training (DoPT) said they were also working on a similar proposal, in consultation with the Staff Section Commission (SSC), to introduce a common entrance test for Group-C services. The SSC oversees Group-C appointments.